Healthier Lifestyleto all through the water we drink. Learn From The Water Experts! 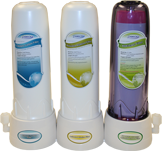 There is a lot of information (and misinformation) about water ionizers, water filtration, alkaline ionized water, ionized acidic water and even tap and bottled waters on the Internet. Lucky for you, you don’t have to struggle to find all of the answers you need or do all of the research yourself. 75% of Americans are chronically dehydrated. Hydrating with hydrogen alkaline ionized water is believed to best support overall wellness and provide pH balance for a more disease-resistant body. Japanese scientists believe that the water molecules are actually smaller and thus able to hydrate our cells on a deeper level. When we are properly hydrated, we are able to better function on both mental and physical levels. Ionized alkaline water has an antioxidant-like effect due to its negative ionic charge and can therefore effectively scavenge for free radicals which seek to destroy our cells. In addition to the free radicals our bodies fight on a daily basis after being subjected to acidic food and drinks, pollution, negativity, extreme workouts, etc. our bodies generate free radicals themselves! Free radicals speed up the aging process so neutralizing them may slow the aging process and appearance of saggy skin, lines and wrinkles. By keeping the pH of your skin at its natural slightly acidic level of 5.5, it controls the growth of acne-causing bacteria and helps slow signs of aging like lines, wrinkles and saggy skin. Chanson ionized acidic water acts as an all-natural toner, aftershave and makeup remover and can replace many expensive skin care and anti-acne products in your home. You may notice firmer skin, fewer lines, and reduced appearance of pores. Also effective against insect bites, burns, poison ivy, and other rashes. Wondering what changes can you expect to see when switching to alkaline ionized water and if there are any benefits or side effects? Although water ionizers are still relatively unheard of in the US, they have been considered a health improving device in Japan since 1966 and the Chanson brand of ionizers are now registered medical devices in Italy. Here at Chanson Water we are passionate about people, health, our products and what our products do for people’s health. We are a multi-million dollar, multi-national, multi-generationalfamily owned corporation. 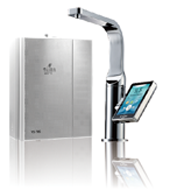 Our proud tradition of providing water health products of impressive quality goes back to 1979 when Mr. Liao bought an ionizer for his family’s use and realized the importance of getting them to the people of his country so that they too could benefit. Similarly, Nedalee and her family bought an electric water ionizer in 2005 for her mother-in-law who had cancer. Chanson Water USA has nearly a dozen team members including Nedalee's daughter Christina (Copywriter/Marketer), her son Jesse (Shipping Department) and her granddaughter Hannah (Graphic Designer). 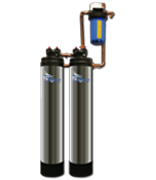 Many people erroneously believe that reverse osmosis (RO) water is the best drinking water as it is pure and void of contaminants. 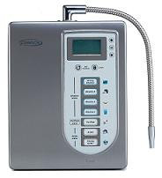 A water ionizer is an investment in your family's health that will likely pay for itself in 2-3 years. Water is an important part of any weight loss plan, as it has detoxifying properties, naturally suppresses appetite, and helps metabolize fat. With chronic dehydration affecting a whopping 75% of Americans today, water playing such a crucial role in the body. 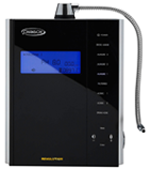 A water ionizer is an electric device that separates tap water into two streams: ionized alkaline for drinking and ionized acidic for non-toxic cleaning and skincare purposes. Japanese scientists believe that the water molecules are restructured, making the water more hydrating, and the minerals in the water bioavailable, giving them antioxidant-like effects. Won't my stomach acid render alkaline water consumption useless? No, this is a myth. There is no hydrochloric acid pouch in our body, and the stomach wall makes sodium bicarbonate to alkalize our food not digest our food. HCL is only produced when we eat or drink acid-forming foods and drinks and is balanced in equal proportion by sodium bicarbonate production. When we consume alkaline forming foods and drink alkaline ionized water, the body does not need the sodium bicarbonate production and thus the HCL production is not required either! 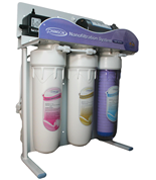 "We have a Chanson counter-top unit and are on City water (Toledo, OH) and use the three city prefilters. Recently, the city was unable to treat our lake Erie water and the EPA urged everyone to not drink the water. Our Chanson unit pulled us through with no sickness. 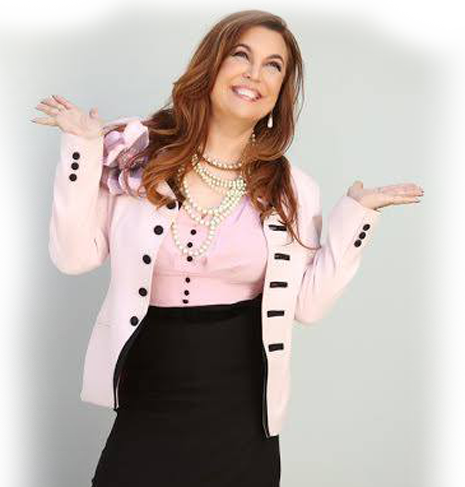 "I purchased my Chanson Miracle ionizer in January of 2010. I had hard time first to drink lots of water, as I was never able to drink that much, but this water tastes and hydrates differently. I never feel full or bloated from it and I drink about 1/2-1 gallon a day!...The alkaline ionized water also cleanses and removes impurities from the body, and hydrates at the same time.